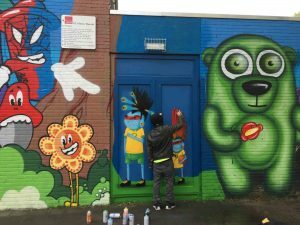 In 2012 we, as the MSC, did a project voor the Montessori school in Amsterdam North. 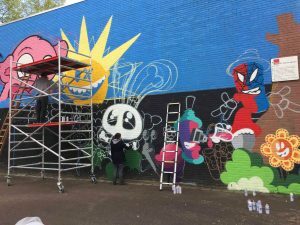 Due to the big succes with our “WACKY RACES” wall we where asked for an other project at a different Elementary school De Piramide, in the same neighbourhood. After some planning and emails with Lorence who organised the school yard renovation. 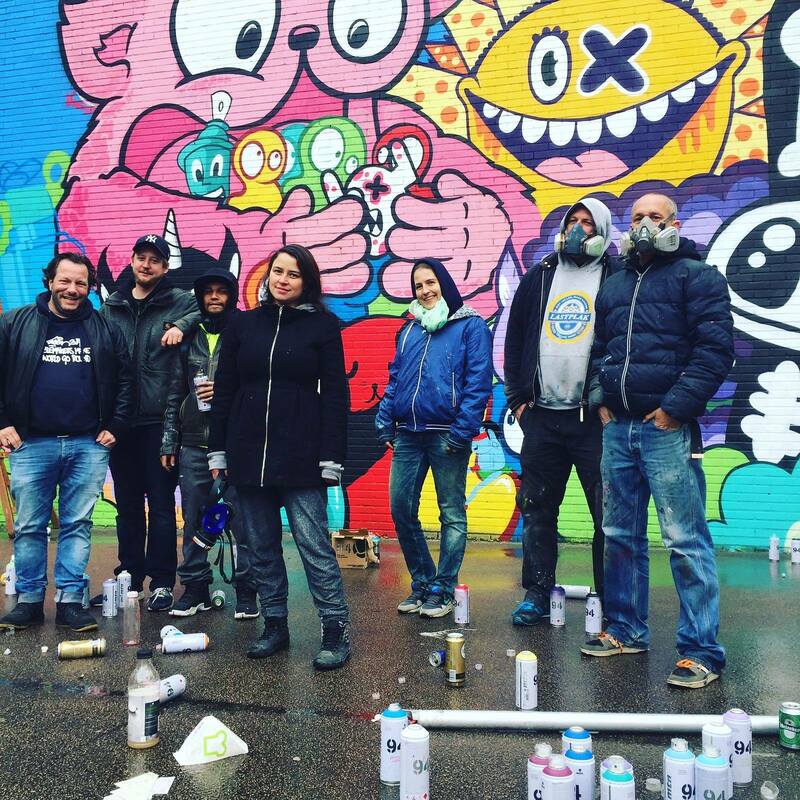 We ( Bust – Zaira – Oxalienski – Dood Konijn ) Planned to start painting the wall on the 25th of april. A few days before my dear friends Bust and Zaira arrived in Amsterdam and of course we meet up at our favourite place “the Batavia”. 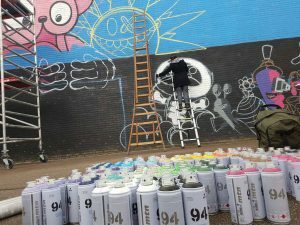 A little later than planned we where in front of the wall, it looked massive but armed with 150 MTN94 spray cans, a big scaffolding and two ladders we started to sketch up the first lines. The weather was super so we more sunshine than we hoped for. With enough time to sketch up more than half of the wall. We made good progress on our first day. On the Second day we started at 10:00 am and sofar we where very lucky with the weather, cause they said it was going to be very wet and rainy. 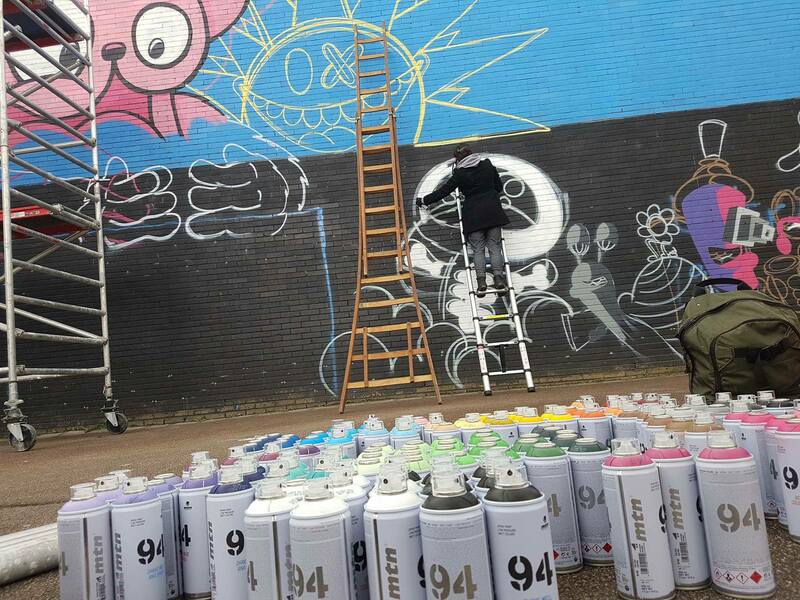 Because of our good friend the Sun we could paint a lot. Later that day in the afternoon our good friend Cranio from Brazil came by together with Olivier. Later that weekend when everybody was gone I had all the time to finish up the big wall and finish the side wall too. 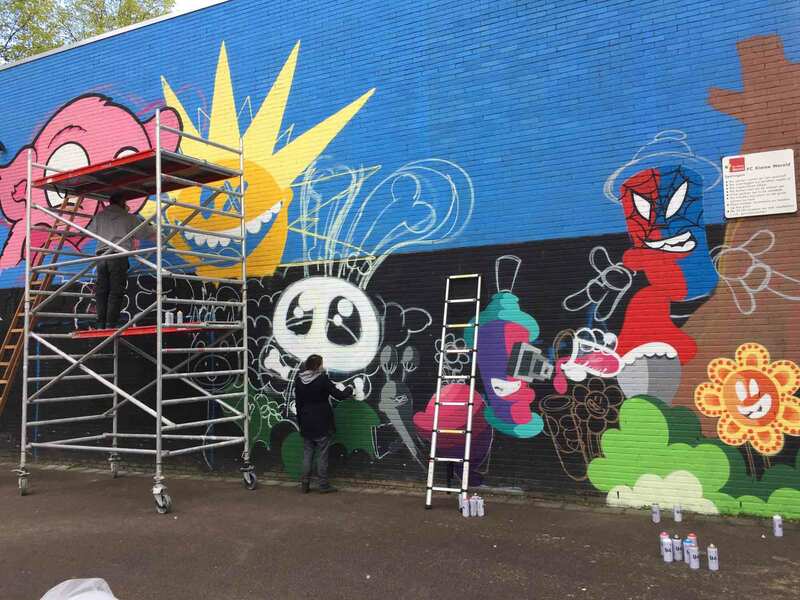 It still toke me a halve day to complete the big wall so there i was again day number 4 and yes the final day. I finally could start the side wall.